You must know that cycling is one of the best activities one can indulge in? If you didn’t know, well now you do! It’s a good way to exercise while having fun and for many, it’s also a convenient means of commuting to and from work, especially in areas with high levels of traffic congestion. Calgary is a city with a big cycling culture. From commuting to recreational, road biking to mountain biking, there is always a cycling group or club you can join. If you are new to Calgary or do not know much about cycling in this city, you have come to the right place. 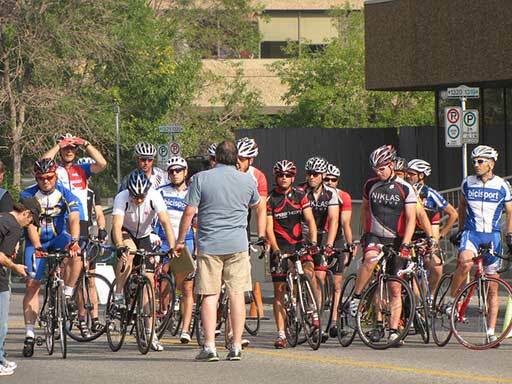 This guide will help you understand all you need to know about cycling in Calgary so please read on. We realize that there are different cycling styles. You could be a recreational cyclist, only cycling on the weekends or when you want to do some thinking, or you could be a mountain biker, living for the adrenaline rush. We will try to cover all biking styles, so feel free to scroll down to a section that is relevant to you. 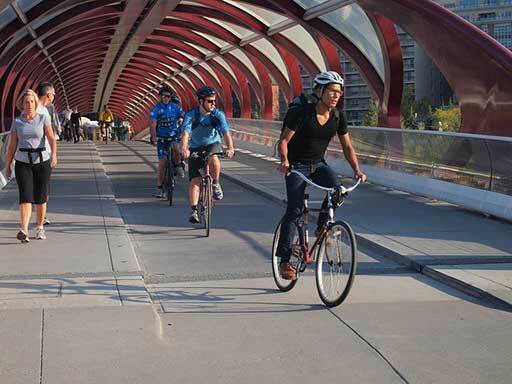 More and more people are choosing cycling as a means of commuting in Calgary. Apart from keeping you healthy, it’s fast, fun, and cheap too (no gas required and maintenance is super cheap compared to a car’s). Awesome!! If you want to join the cycling battalion, you should have no worries. There are enough bike lanes in Calgary and where there are none, it is pretty safe to cycle in traffic. Just make sure that you observe some cycling tips like using proper hand signals, riding with traffic and not against it, and obeying general road rules and you’ll be okay. A major concern for many is whether there are places to lock their bike. Yes, there are. In plenty. More than 1,900 bike parking spaces were created all over the city between 2002 and 2014 and 800 more were expected to be complete by the end of 2015. This means that there are more than 2,500 places that you can park your bike should you wish to use it to commute to work. Additionally, the city has made it simple for cyclists to request more bike parking spaces if needed. Unfortunately, bike theft is on the rise in Calgary. 2013 experienced a 34% increase in reported cases. You should, therefore, make sure that you always lock your bike with the best bike lock you can find, whenever you are not attending to it. But should you be a victim, the best course of action is to report the theft by calling the Calgary Police Service non-emergency line (403-266-1234) or visit a district office near you. In Calgary, when someone mentions cycling, often the first thing that comes to mind is commuting. With bike advocates always in the news advocating for bike lanes and what not, it is no wonder people are now associating biking with commuting. However, nothing beats an evening ride down a beaten path watching the sunset, or just to marvel at the beauty of creation. 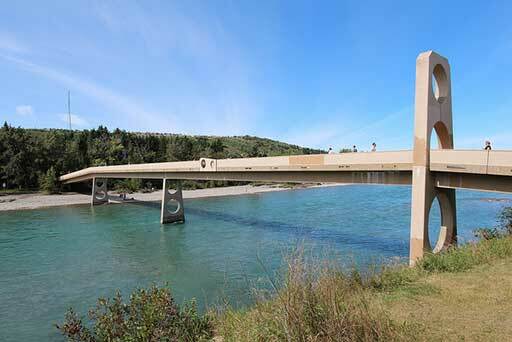 Fortunately, there are many places in Calgary to go and there is always someone interested. Whether you are a weekend biker or evening biker, you will find lots of people to cycle with. 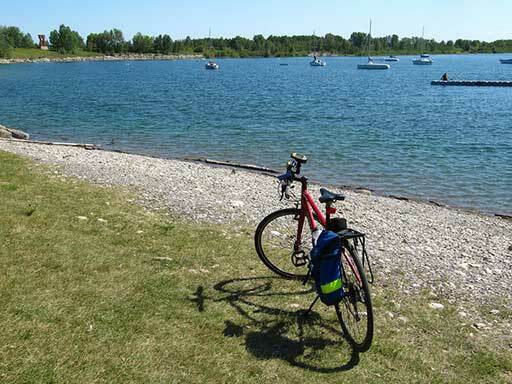 The Glenmore Reservoir is one perfect place for a recreational cyclist. You get the feeling of riding in the woods, and you can start from wherever you want. Edworthy Park is another such place. You can ride in a loop starting downtown along the south side of the bike path out to Edworthy Park, cross the bridge, and ride back to downtown on the north side. You could even stop at angel’s place for a cup of coffee with friends. Other interesting places include a ride down bow river pathway at night (we recommend bringing a friend along), and the Nose Hill Park. For the adrenaline addicts, who live for the rush and feel ill whenever they miss a chance to go face-to-face with nature, Calgary is never short of places to go and lose yourself no matter the season. One of the best and most loved places is the Strathcona Science Park. This is a good place to warm up before you head south along the river’s edge until you get to refineries. If you’re up for more adventure, you can take the trail down to the river. We must say though that it is a technical 6 km ride. Not dangerous in any way, but it could be frustrating for a beginner. 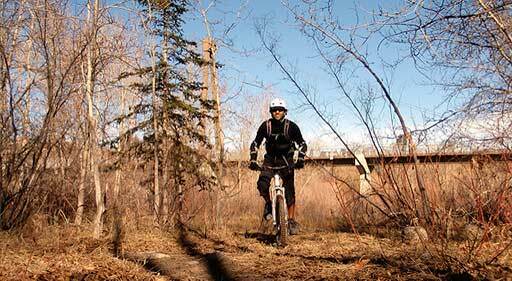 If you prefer longer rides, then Goat Creek and Trail 7/7H are just perfect for you. You would, however, want to stick to the longer but less technical Goat Creek trail if you are not an advanced cyclist because Trail 7/7H will test you to the core. You just might give up cycling altogether! There are more than 50 tracks available in Calgary so we cannot really cover them all. You can visit the Singletracks website to find more tracks you would be interested in. There are also many mountain biking clubs you can join depending on where you live. Some of the best ones include Calgary Mountain Bike Alliance, Spin Sisters Mountain Bike Club, which is a ladies only club, Calgary Mountain Bikers, and Calgary Outdoor Club which also hosts all other activities including hiking and skiing. Read more about these bike clubs here. Unlike other forms of cycling, road biking is not as popular. Maybe it’s because it is usually the reserve of competitive cyclists. But this is not to say that your road bike will waste away. No. There are still several places you can put it to use. And if you use your bike to commute to work, this is an excellent way to make use of your road bike! You can also ride on Lower Springbank Rd. or make a loop on old Banff coach to Calaway Park via township rd. 245, head south to spring back community center, and then back to spring back. Crank Masters also has various social rides during all through the week that are open to new riders. Joining the group would be fun. Deadgoat Racing is another club that takes part in road biking. Learn more about these clubs. 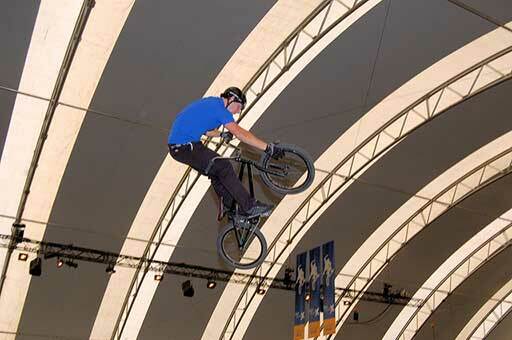 The reserve of biking stunt masters, BMXing, like road biking, is not as widely spread in Calgary. It is, therefore, a little harder to find amenities for a BMX biker. Your best bet is being a member of Calgary BMX Racing Club because you will then have access to all facilities you need. Did we also mention that they have a nice BMX track? Well, they do. And you can bring your kids along too. They have some fun activities for the whole family. You can read more about Calgary BMX Club here. There are plenty of bike shops where you can buy everything you need for your bike, or even buy a new bike! And if you want to hire a bike are there are quite a few places that will rent one to you for a short space of time. We’ve added a list here.